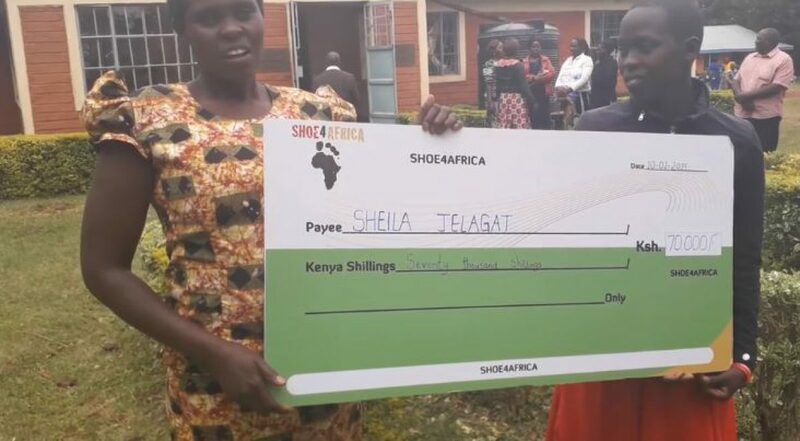 After graduating from the Shoe4Africa Janeth Jepkosgei School…. Little Sheila was lucky enough to get picked up for a scholarship to secondary school, being paid from a donation from Claudio Berardelli and his Italian friends. Claudio has helped every year since this school was started, many years ago – thank you Claudio!